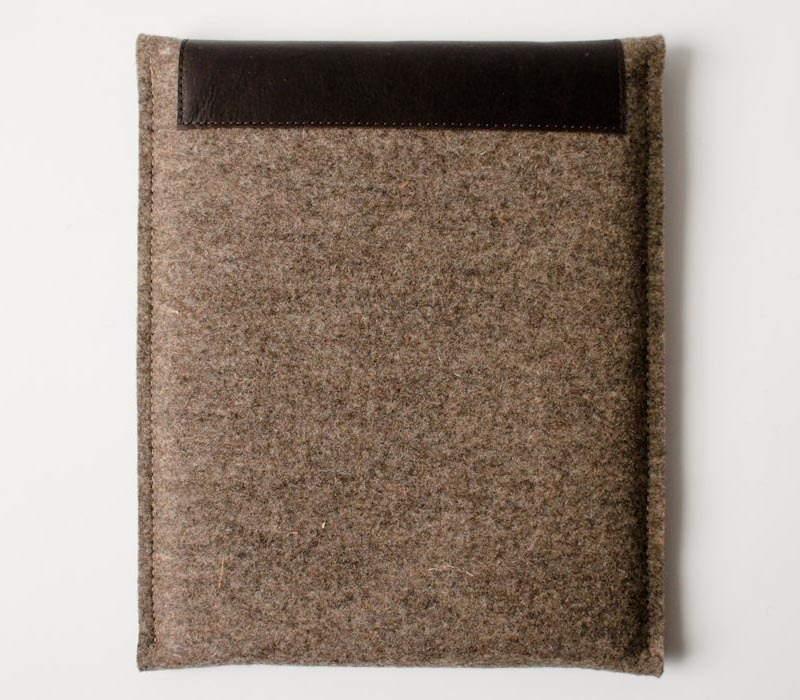 Not every one like adding some bulk to their iPad 2 tablets, so if you prefer naked iPad 2, and want a protective sleeve to take the device on the go, the handmade protective sleeve may be more suitable for you. This is exquisite, elegant protective sleeve handmade by Alexandra and Raf, and designed for both iPad 2 and original iPad. 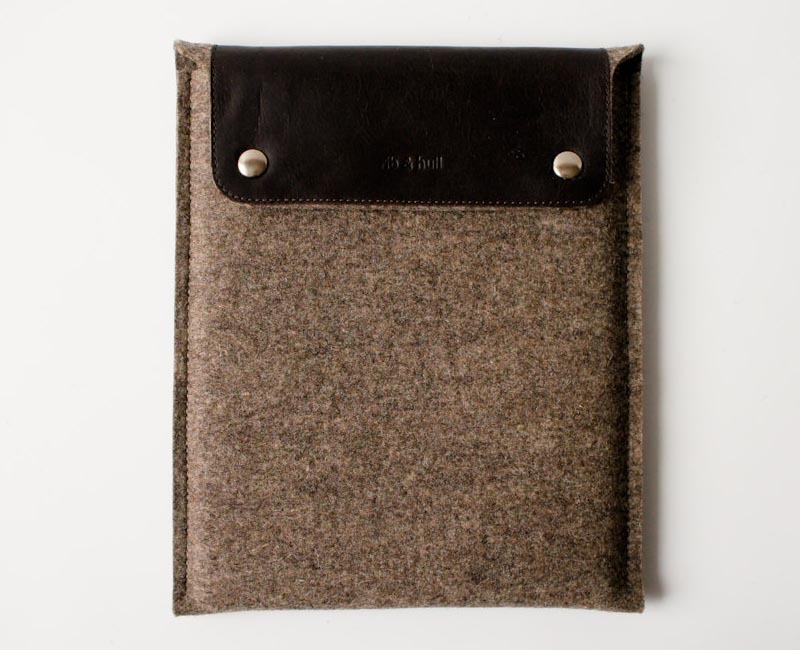 The iPad sleeve is constructed of 100% wool felt measuring 3mm thick in order to protect your iPad or iPad 2 from shocks and scratches when you’re on the go. And as we can see from the images, the iPad 2 sleeve also features a flap made with vegetable tanned leather, while the two metal snaps keep your device securely in place. Apart from that, the protective sleeve is compatible with iPad 2 with or without Apple Smart Cover and original iPad. 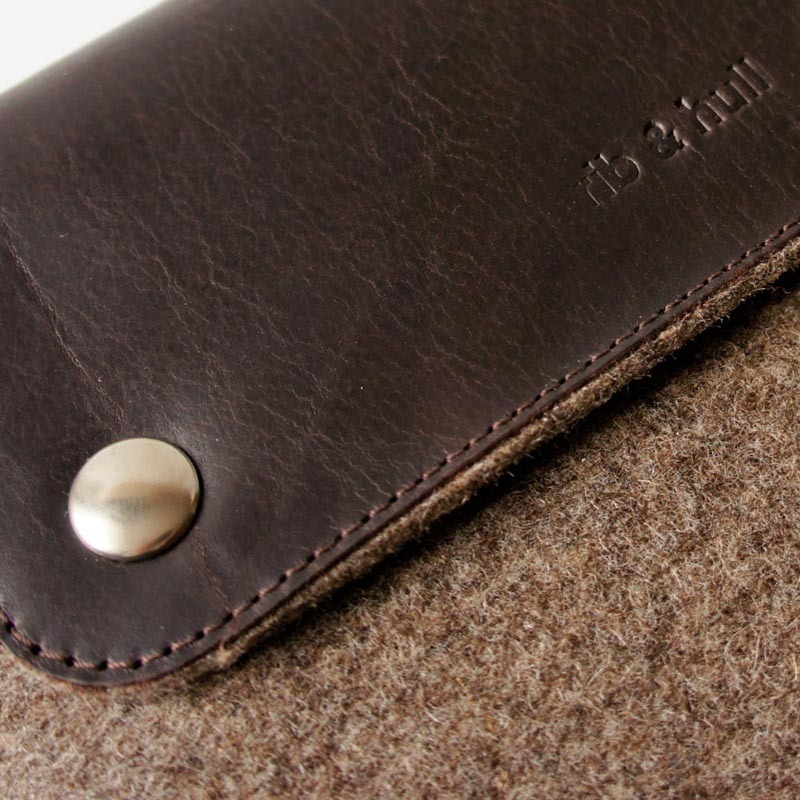 The handmade protective sleeve is available in three colors, including stone brown, truffle brown and anthracite brown, each one is priced at $52 USD. If you’re interested, jump to Etsy for more details. Additionally, if you need other options, you might like to check Austin Flex iPad 2 sleeve and G-Form Extreme Sleeve 2.